The human energy field (aura) is often overlooked and little do we realize how integral energy is to everyday life. Be it people or things, everything vibrates on different frequencies. You may not see it (often times you feel it) but energy forms can leave residual effects on you both physically and spiritually if you’re not aware of the energy you carry and the types you are receptive to. Learn more about energy vamps in Part 1 and Part 2. Spiritual pollution, as I like to call it, often times manifests in the form of self doubt, confusion, feeling drained and even depression. I’m not a Doctor, Psychologist or Therapist. I only speak from aspects of self experience. Purifying your Aura (and being aware of your energy) is a way to start recharging your energy and uplifting your vibrations with intent. In turn, you will begin to balance and structure your sub/conscious mind. We’re constantly programmed by television, social media, etc. that we never give ourselves a chance to program ourselves willingly and consciously. In today’s programming, I show you how I keep my energy in tune with nature’s most basic yet profound tools. Start with any flower(s) of choice. 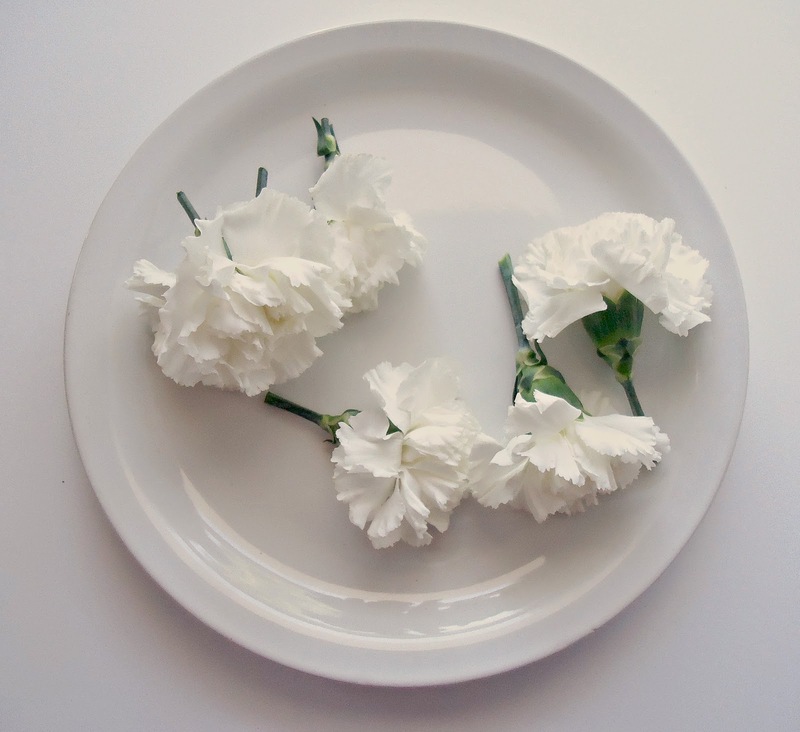 For this tutorial I chose Carnations. You can use any flower or herb to suit your need while following the same concept. 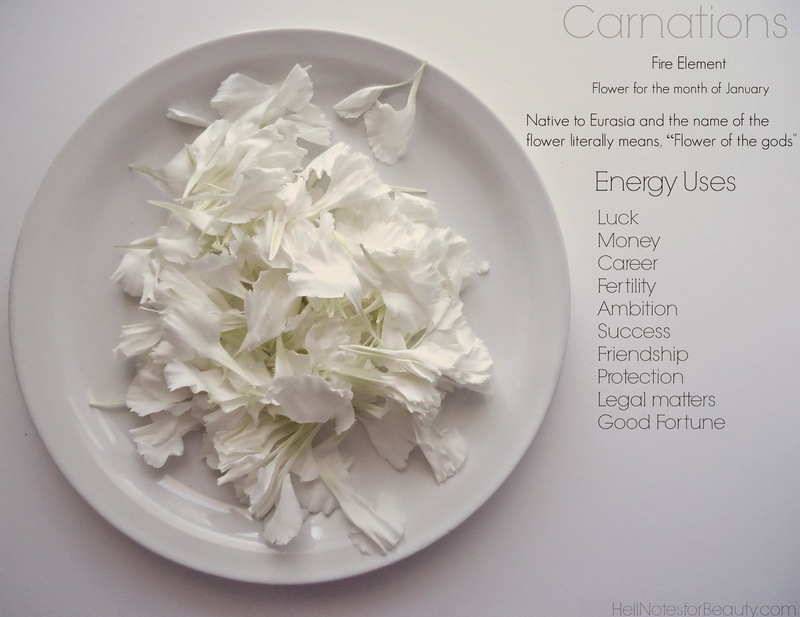 Try to find the historical and magical purpose for each flower/herb as each has its own vibration and effects which influences the intent accordingly. 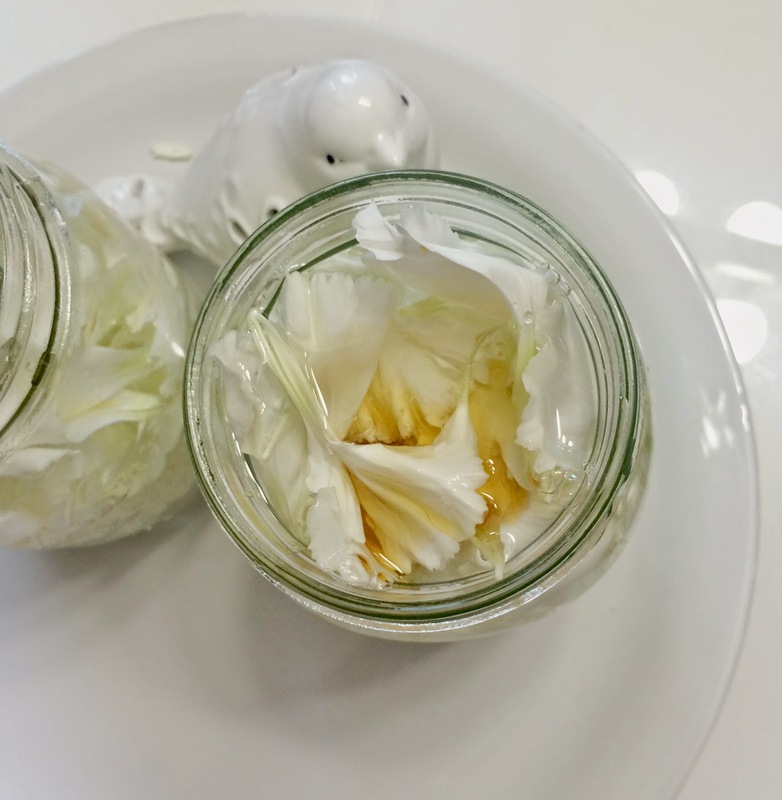 Find a jar of choice. 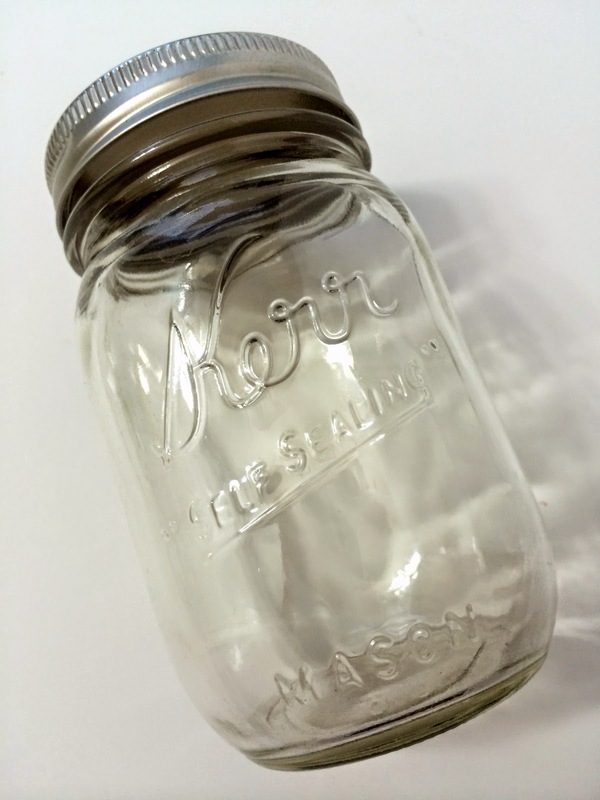 I prefer Mason Jars, which are affordable and easy to clean and store. You will also need a jar for the shower. 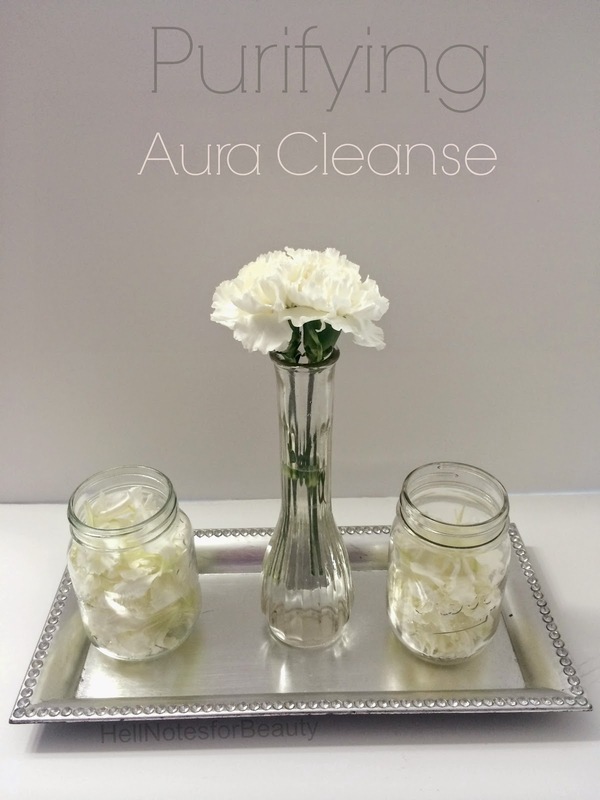 This will help you dilute and warm up your Aura Cleanse Rinse. I use this plastic one from my local food store pictured here. You can find something similar anywhere. 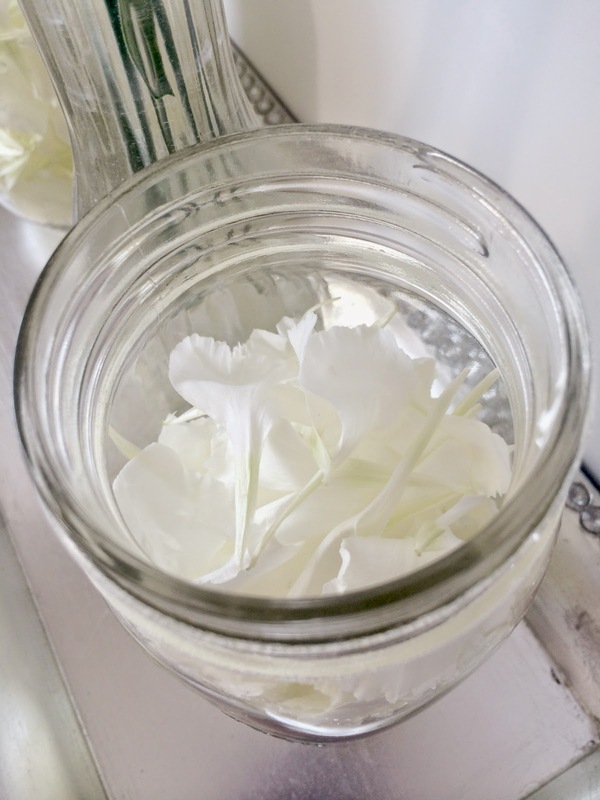 Pick the petals and add the petals to your jar. Bath| Simply add to awaiting warm bath and relax in bath for 15-20 mins. Shower|Once you have taken your shower as you normally do everyday, add your Aura Cleanse mix to the Jar I mentioned earlier and add warm water. You can pour the Aura Cleanse mix over your head. Or if you prefer not to wet your hair, pour over your shoulders. Do Not Rinse. Simply come out the shower and pat dry. Note| You will need a drain stopper for your shower and pick out the petals afterward to avoid clogging.